Make sure your practice is adequately covered for different types of vehicle classifications and situations. 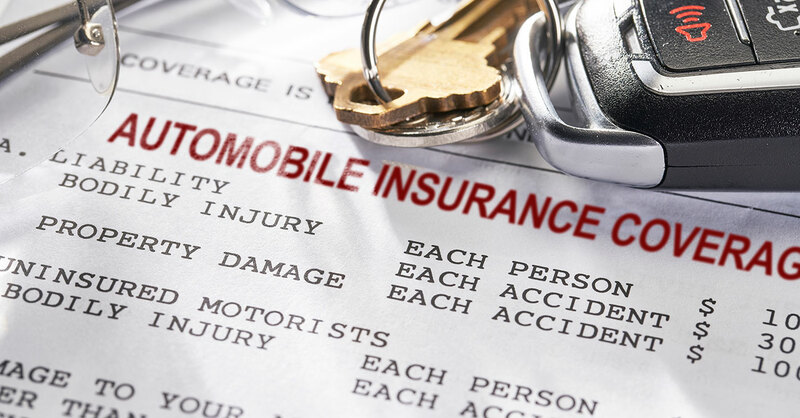 Take the time to assess your auto insurance policy as well as your assets and exposures. 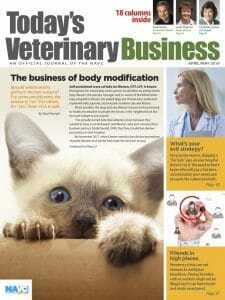 Does your veterinary practice own a motor vehicle? Regardless of your answer, operating a vehicle on company-related business is unquestionably one of the largest liability exposures that exist for a veterinary services organization. Over 10 million motor vehicle accidents occur each year in the United States. A statistic like that makes a comprehensive auto insurance program a critical component of your practice’s overall financial protection strategy. Businesses on whose behalf the vehicle was being used at the time of the accident. Owned: Vehicles with the company name on the title. Non-owned: Vehicles not owned by the company but used for business purposes. They typically are owned by an employee or volunteer, but they can be owned by any unrelated third party. Hired: Vehicles borrowed, rented or leased specifically for business purposes. Personal auto insurance is designed for vehicles not titled in the name of a business. Such policies typically provide coverage for intermittent business use but are intended for vehicles mainly used for personal use. Let’s look at a scenario that might be a problem for a business. Two employees of a veterinary hospital decide to drive to a fast-food restaurant for lunch. Before they depart, the office manager requests that they pick up a few office supplies at a store adjacent to the restaurant. Exiting the shopping center’s parking lot, the employee, driving her own car, inadvertently hits a pedestrian in a crosswalk. Despite intensive medical and surgical intervention over several weeks, the pedestrian dies. The deceased happened to be a senior partner at a successful local law firm who had a stay-at-home husband caring for their three young children. Medical expenses, loss of long-term earnings, future child care and educational expenses, pain and suffering, and loss of consortium were calculated at several million dollars. The family’s legal representatives quickly realized that any hope for adequate financial restitution would not reside with the young driver but with her employer, the veterinary hospital. Would your practice’s business auto or commercial liability insurance policy respond to this type of claim? Are your limits high enough to cover the exposure? If the company owns one or more vehicles, carry hired and non-owned auto liability coverage as part of your business auto policy. If your business does not own a vehicle, carry a comprehensive business liability policy that includes hired and non-owned auto coverage. Carry ample excess liability insurance coverage, known as an umbrella policy. Primary commercial liability or business auto liability policies are typically not sufficient to address the full economic risks. Umbrella policies are an inexpensive investment when you consider the amount of additional financial protection provided. Make sure your umbrella policy covers owned, hired and non-owned vehicles in the form of a business liability or auto policy. If you’re still not sure how such coverage applies to you, let’s take a deeper look. All vehicles owned by a veterinary facility must be insured through a business auto policy. If your practice owns more than one vehicle, you can choose different amounts and types of coverage on each vehicle depending on their individual value and utility. Though states have differing requirements regarding business auto insurance, the majority require a business to purchase liability insurance for bodily injury and property damage and some form of coverage for uninsured or underinsured motorists and medical payments. A business auto insurance policy typically has the following coverages and limits for owned vehicles, but be aware that the scope of coverage can vary significantly depending on the options selected. Auto liability: This portion of a business insurance policy has a standard coverage limit of $1 million per occurrence with no corresponding deductible. It covers bodily injuries and property damage as a result of an auto accident. This includes injury to passengers in the vehicle covered by the policy, injury to passengers in other vehicles, injury to pedestrians, and damage to personal or commercial property. A business auto policy typically will not cover punitive damages awarded by a court as the result of intentional acts such as reckless or drunken driving. Uninsured and underinsured motorists: This portion of a commercial insurance policy has a standard coverage limit of $1 million per occurrence. It reimburses for medical expenses and property damage when those expenses would normally have been paid by an insurance company if the owner of the vehicle at fault had been adequately insured. Personal injury protection and medical payments (no fault): The no-fault portion of a commercial insurance policy typically has a standard coverage limit of $2,500 per occurrence. It may pay for medical expenses, lost wages and even funeral expenses without regard to fault for the accident. This coverage goes by multiple names in different states and might be required by state law. Collision: This portion of a commercial insurance policy has a standard coverage limit equal to the vehicle’s cash value. Deductibles apply and typically range from $100 to $1,000. This coverage will pay for expenses related to repairing the insured vehicle if it overturns or collides with another object. The term “totaled” is often used when the cost of repairs is greater than the vehicle’s value. In these cases, the insurance company will pay the actual cash value of the vehicle instead of repairing the vehicle. Comprehensive: Like collision coverage, comprehensive pays up to the actual cash value of the vehicle for expenses related to the repair of damages for any incident other than a collision. Examples include vandalism, theft or running into a large animal. Non-owned auto liability: As stated above, non-owned auto liability provides coverage when an organization benefiting from use of a vehicle it does not own is sued for damages as the result of an accident. It is important to note that this policy typically covers the business but not the driver. The driver’s personal auto policy is designed to provide liability protection up to the policy’s limits. Hired auto liability: This coverage provides protection when a borrowed, rented or hired vehicle is involved in an accident or causes damage or bodily injury to a third party. Unlike non-owned auto liability coverage, hired auto liability coverage protects both the business that borrows, rents or hires the vehicle and the driver. This coverage does not cover damage to the vehicle itself. Coverage for damage to a borrowed, rented or hired vehicle typically can be included in the auto policy — hired car physical damage — or from the rental company. A good driving safety record. Adequate auto insurance on their personal vehicle. Auto insurance policies are confusing, boring documents filled with legal jargon. Purchasing an online or low-cost policy without professional assistance could be a catastrophic mistake. I recommend consulting with an experienced insurance agent who understands the exposures associated with the delivery of veterinary services. Take the time to assess your insurance policy as well as your assets and exposures. If you are underinsured or can identify coverage gaps, immediately make appropriate changes to your policy. Protect & Defend columnist Dr. Ed Branam is veterinary and animal services program manager for Safehold Special Risk Inc. He serves on the American Veterinary Medical Association’s Legislative Advisory Committee.